Veltia was born to revolutionize the hand dryer market. The founder and director, Miquel Canut, who flew frequently around the globe for his business ventures, saw the need to be able to dry one’s hands at airports without the need to press a button or perform contortionism for the traditional hand dryer’s sensor to work properly, and without starting and stopping continuously. He realized that an efficient, hygienic and environmentally friendly machine that satisfied the needs of users simply didn’t exist. 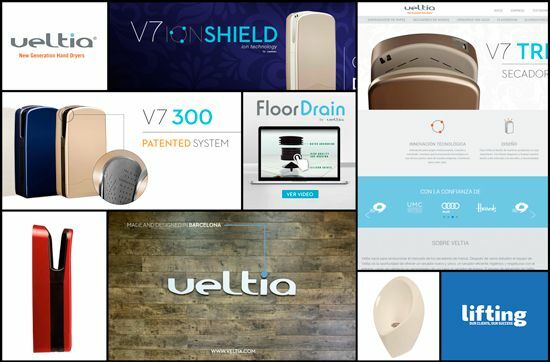 So, thanks to his drive and hard work, and after three years of investigation including innumerable prototypes and studies, the R&D team of Veltia headed by Miquel Canut, developed the Veltia hand dryer with a totally innovative patented technology, which was able to achieve what no other hand dryer had done before. Moreover, the Catalonian firm has been a pioneer in introducing products related to hygiene which are totally unique. Together, they have contributed towards multiplying the added-value of the catalogue of the wide-range of products and accessories which the brand offers to its demanding clientele from their HORECA, maintenance, cleaning and facility services channel. It is precisely this innovative character that defines and characterizes the firm that led Veltia to look for support from Lifting Group to develop a Strategy in keeping with the values of the brand. Management at Veltia put their trust in the team of business consultants at Lifting Group to devise an International Omnichannel Strategy to grow homogeneously all the channels where the brand has presence. At Lifting Group, we have developed various actions aimed at helping the brand continue to grow through the Marketing Management Outsourcing service, with an external marketing team centered on working on those strategic areas which provide greater commercial growth and profits for the brand. To define a strategy to generate global business. Definition of an effective commercial strategy oriented towards B2B sales through the Online Channel. Launching the first website. Due to the success of this, a new corporate website with the objective of increasing the user experience and conversion was created. Improvement during the first quarter of 2016 (launching of new website) of the principle indicators of the quality of the session: Average duration of session (+7.62 %), percentage of bounce-backs (-5.58 %), pages per session (+0.51%). Restyling of the different commercial materials with a modern and innovative image. Presence at the principle fairs for the sector globally (Las Vegas, Orlando, etc.). For this client, the following services have been carried out, always focused on offering the most harmonized experience possible in every channel, with special focus on the online cannel and B2B sales.